Think about your favorite animated film. What story did it tell? How did the characters change? What did they learn? According to the article, it takes five years to make a full-length, animated film. Does that surprise you? Why or why not? 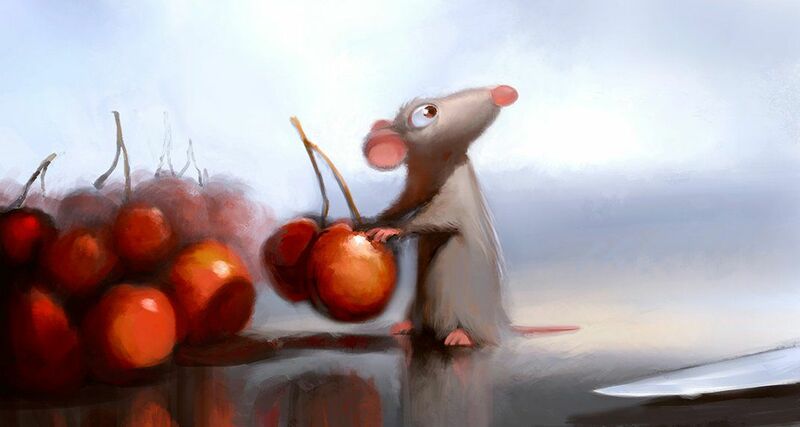 What do you think would be the hardest part about making an animated film? Why? According to the article, artists create pencil and ink "concept" sketches, architectural drawings, paintings, clay sculptures and digitally created images of animated film characters. How do you think each stage of this process helps artists develop their final characters? This Smithsonian article details the journey of Buzz Lightyear, from the space shuttle Discovery to the National Air and Space Museum exhibit, "Moving Beyond Earth." In this lesson, students will brainstorm a list of modern conundrums that could use some explanation. They then sculpt or paint representations of mythological creatures that explain the origins of something. In this lesson, students are introduced to basic elements of animation. They will learn about the role of design in entertainment from classic cartoons. Students will create a “bouncing ball” flip book to demonstrate their knowledge of sequential motion. In this lesson students will write a screenplay and produce a movie or animation of a Transit of Venus including narration. The lesson also includes options for paper flip animation or use of electronic media.